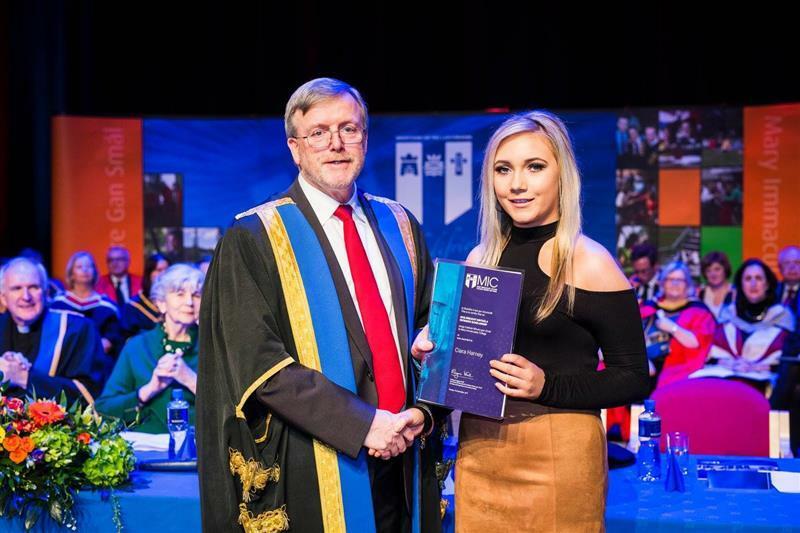 Pictured at the recent Mary Immaculate College Awards Ceremony was Saoirse Cormician from St Brigid’s College who received an Undergraduate Entrance Scholarship to the Bachelor of Arts at MIC. 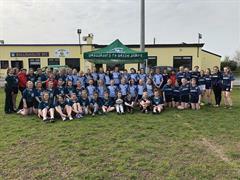 The scholarship, valued at €2,000, was awarded on the basis of CAO points obtained in the Leaving Certificate Examination. Saoirse is pictured with Professor Eugene Wall, President (Acting) of Mary Immaculate College. 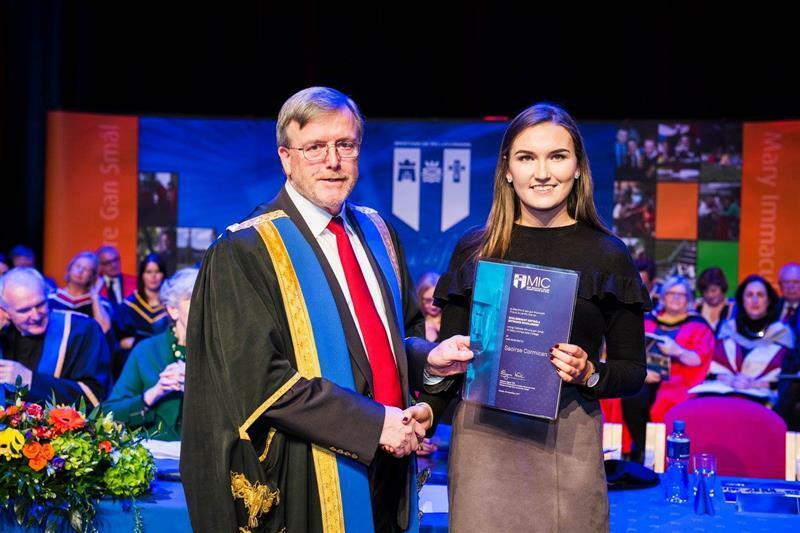 Pictured at the recent Mary Immaculate College Awards Ceremony was Ciara Harney from St Brigid’s College who received an Undergraduate Entrance Scholarship to the Bachelor of Arts at MIC. The scholarship, valued at €2,000, was awarded on the basis of CAO points obtained in the Leaving Certificate Examination. Ciara is pictured with Professor Eugene Wall, President (Acting) of Mary Immaculate College. 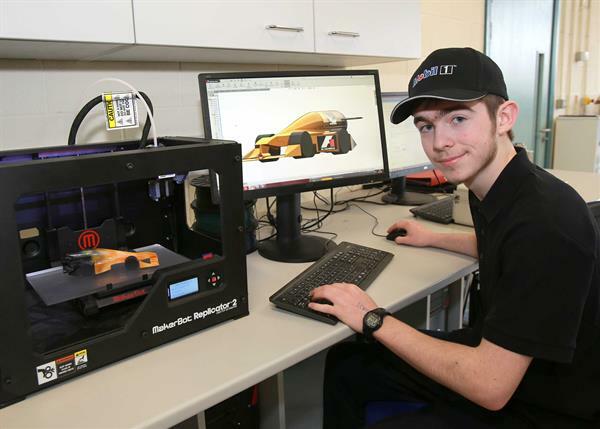 Adam Fahey has earned the distinction of being named the top Leaving Certificate Engineering student in Ireland for 2017, as decided by the State Examinations Commission. Adam has achieved this honour due to his performance across all three elements of the Leaving Certificate examination for higher level engineering students. 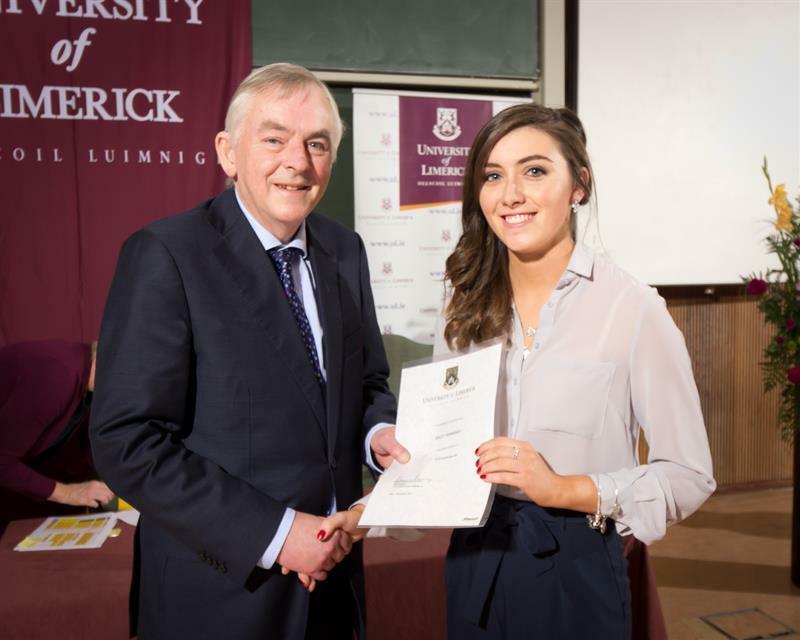 Leaving Certificate student Holly Whiriskey from St. Brigid's College, Loughrea, being presented with her Entrance Scholarship Award 2015 to University of Limerick by Professor Dom Barry, President of University of Limerick. 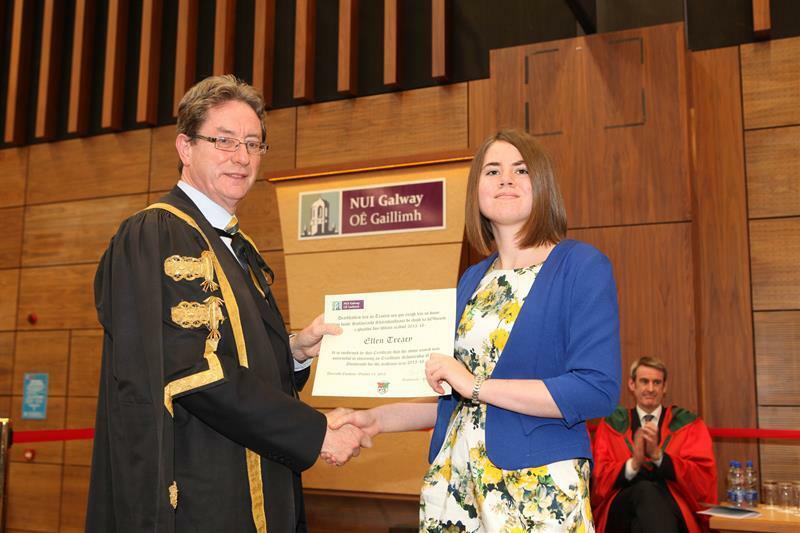 Pictured above is Leaving Certificate Student 2015, Ellen Treacy from St Brigid’s College, Loughrea who was awarded an Entrance Scholarship to NUIG. 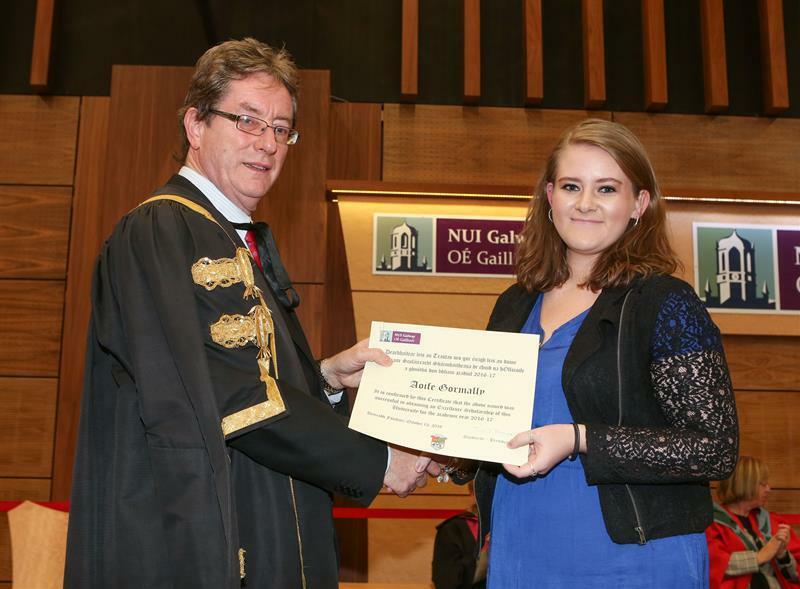 She is pictured with Mr Jim Brown, President of NUIG. 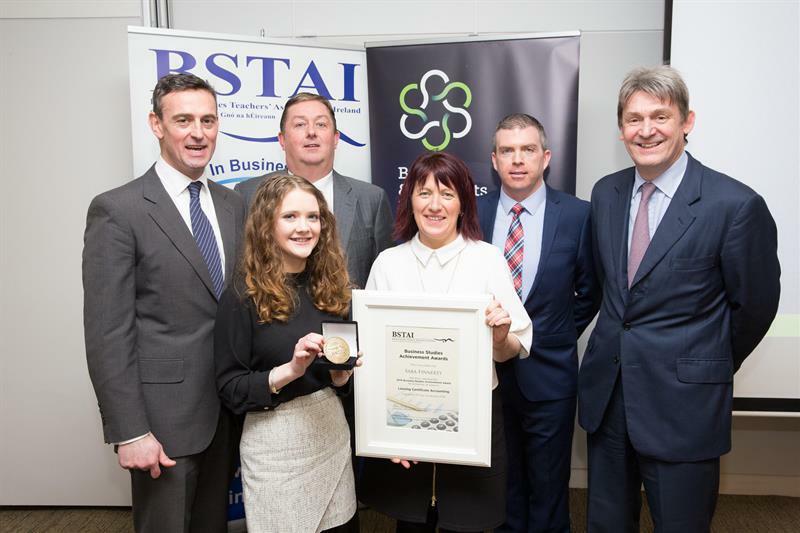 Pictured at the Business Studies Teachers Association of Ireland Academic Achievement Awards 2015 are L to R, Mr. Jonathon Lowey (Chairman of the Federation of International Bank in Ireland), Sara Finnerty, (Top Leaving Certificate Honours Accountancy Student in Ireland 2015), Mr. Sean Connolly (Principal), Ms. Carmel Mannion(Accountancy Teacher), Mr. Ultan Henry ( Honorary President, BSTAI), Mr. Eddy Collier (CEO, Bord Gáis). Pictured above is St Brigid’s College Loughrea student, Arlene Hardiman being presented with an Academic Entrance Scholarship to University of Limerick for 2016. 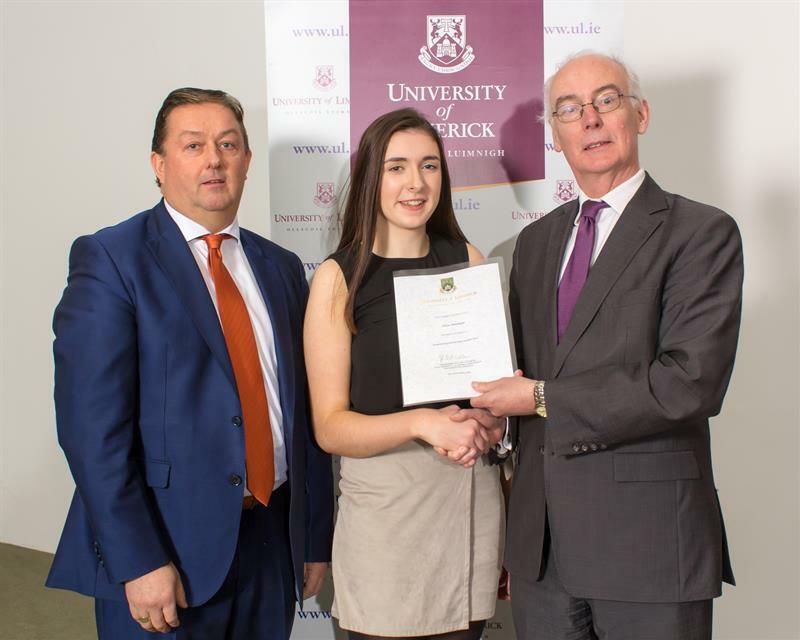 She is pictured with Mr Sean Connolly (Principal) and Professor Paul McCutcheon (Vice President Academic and Registrar, University of Limerick) at an awards ceremony at the University. Pictured above is St Brigid’s College Loughrea, student, Aoife Carroll being presented with an Academic Entrance Scholarship to University of Limerick for 2016. 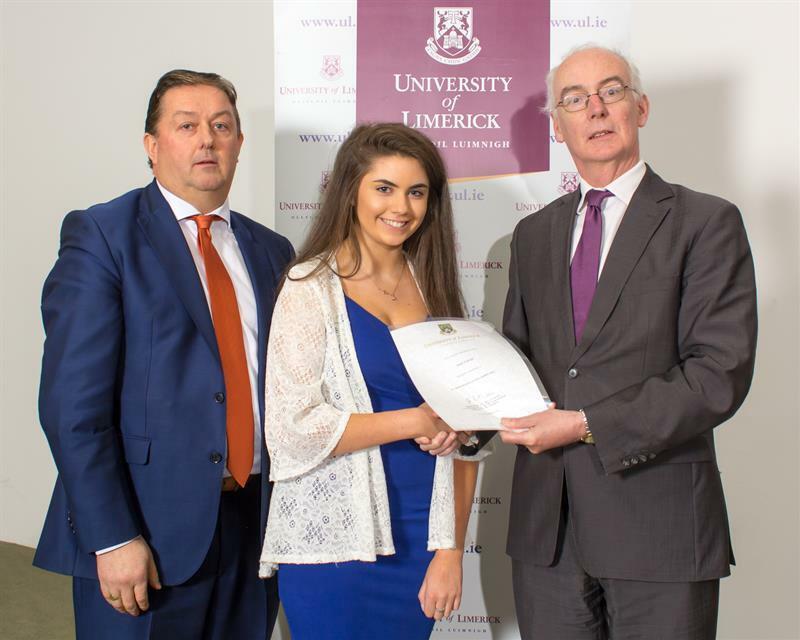 She is pictured with Mr Sean Connolly(Principal) and Professor Paul McCutcheon (Vice President Academic and Registrar, University of Limerick) at an awards ceremony at the University. Pictured above is St. Brigid's College Loughrea, student Ciaran Connor, who was awarded a STEM Bursary from Boston Scientific recently. 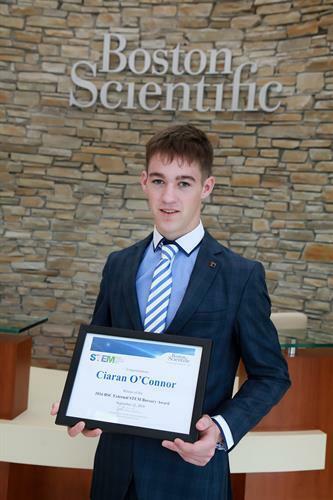 Ciaran qualified for the competition through his excellent achievements in STEM subjects in Leaving Certificate 2016, and his confirmation of acceptance on a STEM based course at third level. Ciaran is currently studying Engineering in NUIG and will undertake work experience with Boston Scientific next summer as part of his Bursary Award. Transition Year student Tony Tuohy who was an award winner in the Poetry Aloud Competition 2016. He is pictured with his English teacher Ms Dolores Kavanagh. 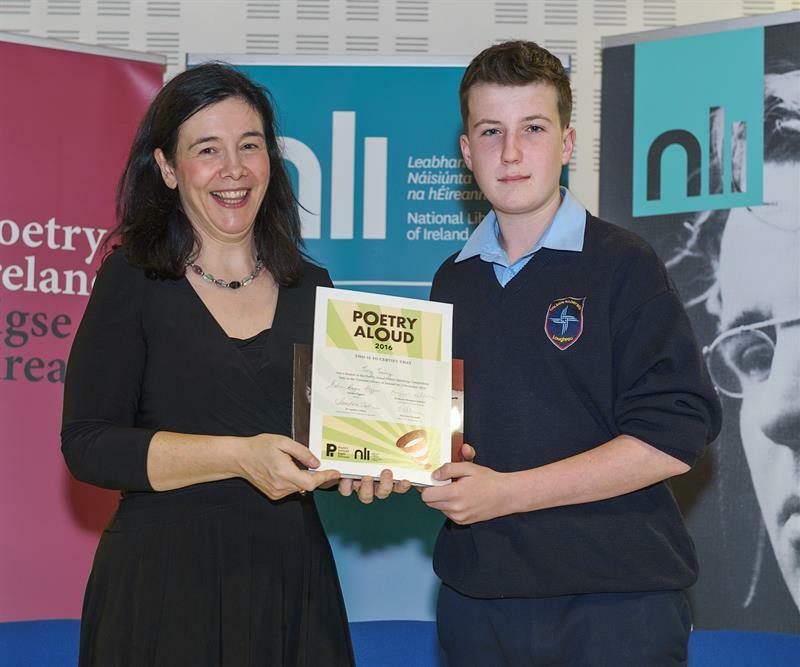 Transition Year student Eric Downey who was an award winner in the Patrick Kavanagh Poetry Awards Competition 2016. He is pictured with his English teacher Ms Dolores Kavanagh and was presented with his award at the Annual Patrick Kavanagh weekend in Inniskeen, Co Monaghan.